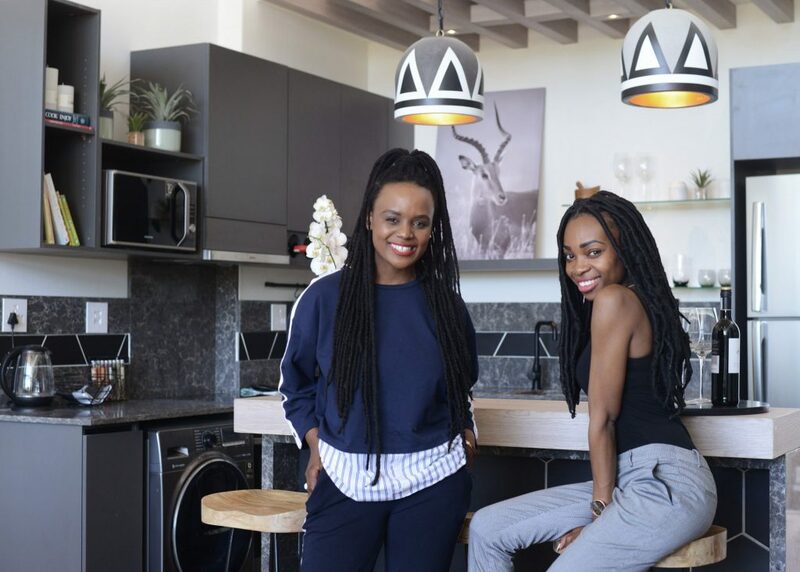 Competing in the Win a Home reality show had interior designers Sinead Turner (left) and Melissa Oosthuizen (right) on their toes and in design heaven! Together, they are the Perma Peeps. The look and feel of our apartment can best be described as Minimalistic with Urban Permaculture. 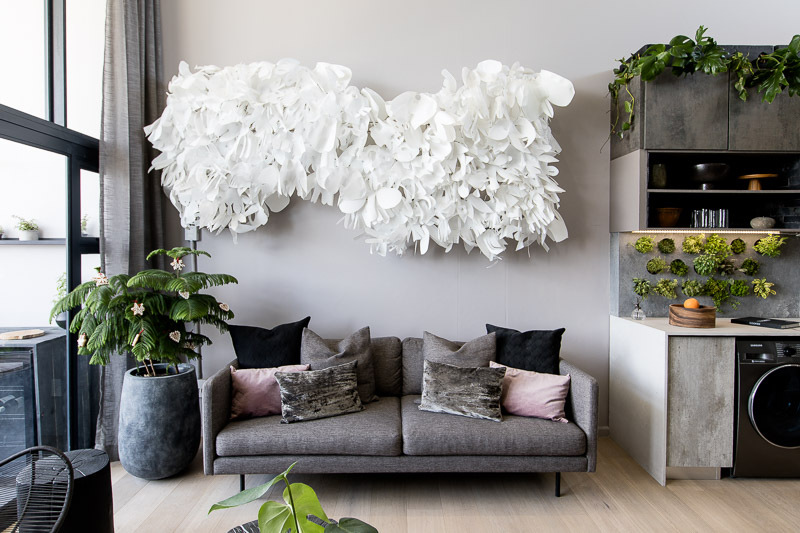 Subtle, muted, timeless colours were used within the space to create a softer, elegant feel. 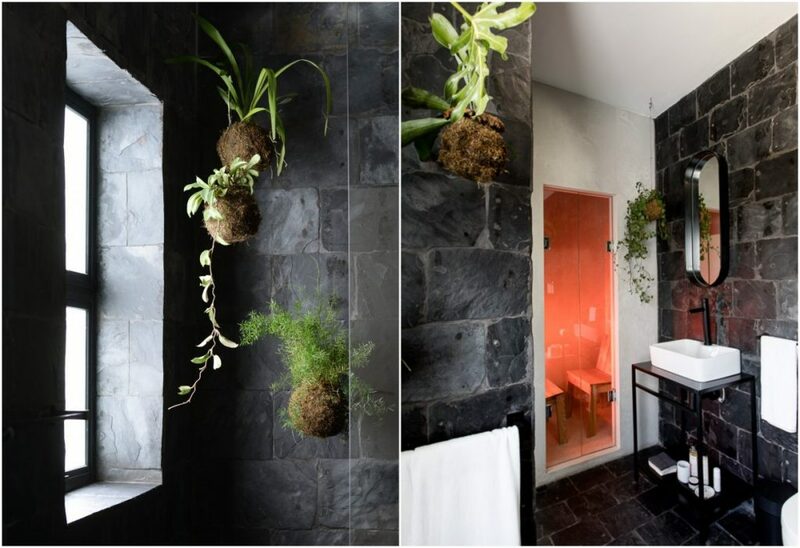 The flow from each space is really encompassed by the use of plants and finishes. We utilized all spaces to create a functional and aesthetically pleasing home. Sneaky features such as fold down beds and fold out ironing boards really add to the adventure and minimalistic feel of this space. 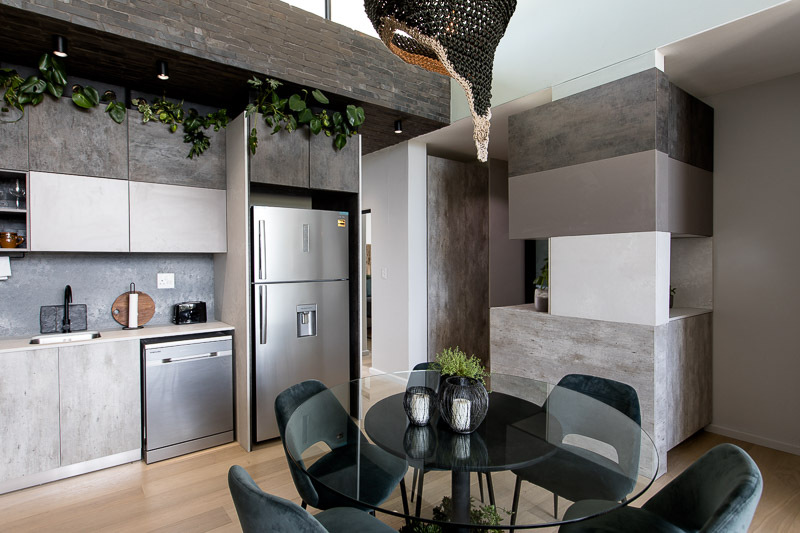 We installed a fair amount of Caesarstone into the apartment, but our showstopper is our Infrared Sauna Cave fully-cladded in Cloudburst Concrete Caesarstone. 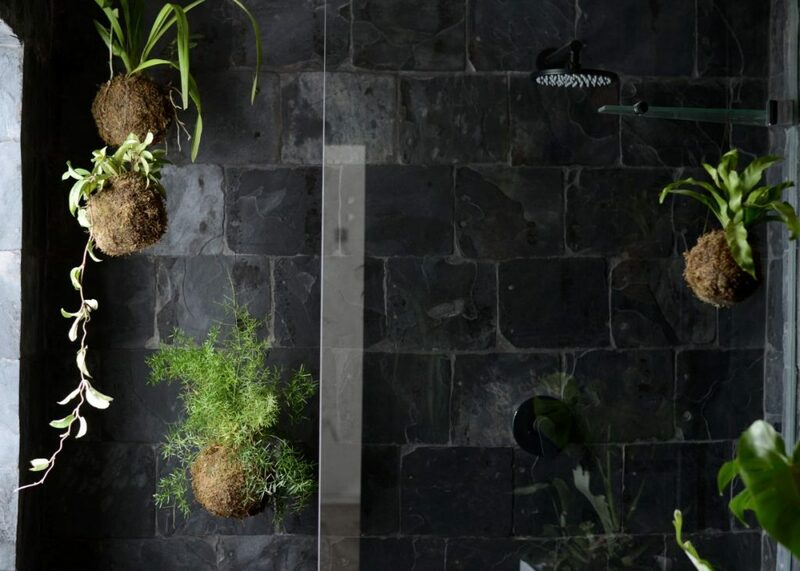 We designed and implemented it into the Jungalow master bathroom space. 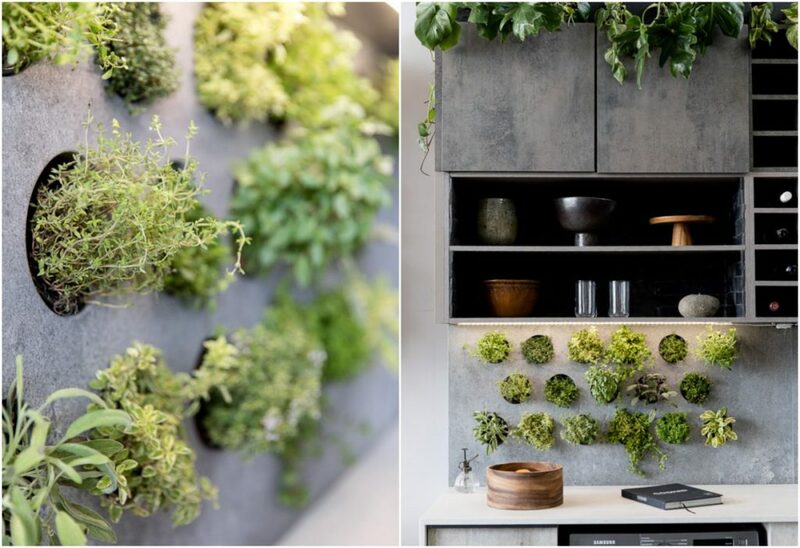 In the kitchen, we took the lead from our passion for permaculture and created an irrigated herb wall system, where the herbs grow and hang out of the Caesarstone Rugged Concrete splash-back, perfectly positioned to harvest fresh while cooking. 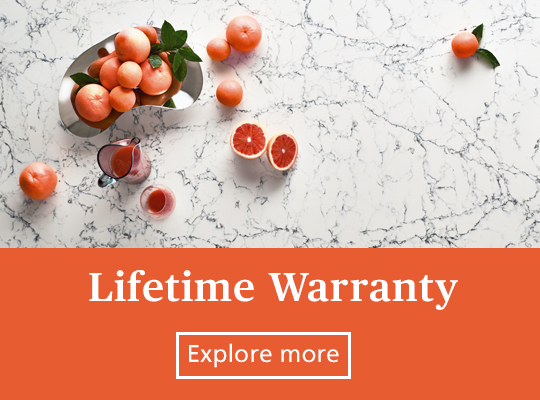 The core selection of Caesarstone that was installed comes from the new Metropolitan Collection – rough, tough and refined, they mimic the organic movements of concrete, but are non-porous and therefore have longevity and care-free maintenance. If there was one particular trend and design aesthetic that resonated with us, it would be minimalism! Be it bathrooms, kitchens or bedrooms, keep it clean and simple and you can’t go wrong. 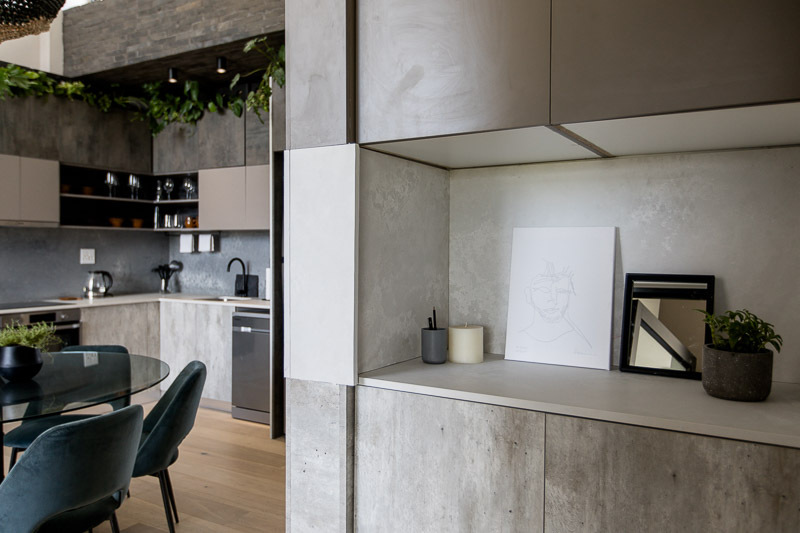 Choosing a favourite area of the finished apartment is always tough to decide, because there is no one space that is more special than the other. 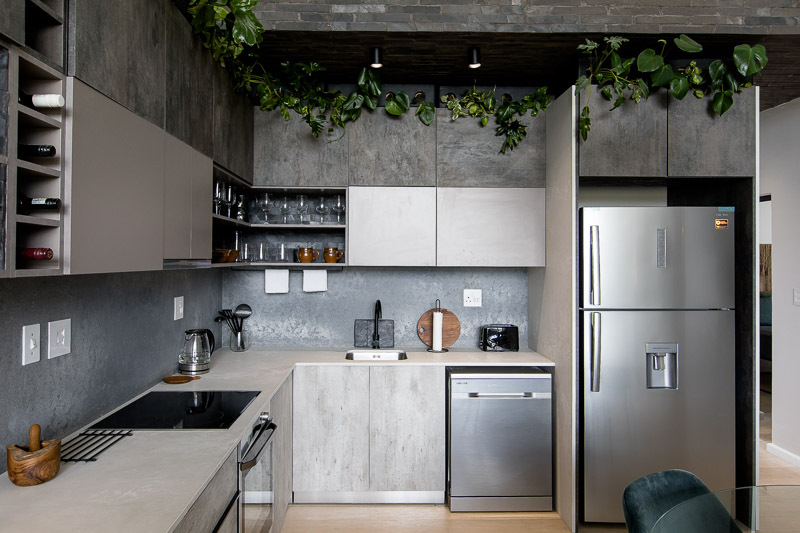 But one would definitely have to be the Caesarstone Sauna, its crisp clean, spa-like aesthetic, and with the health and wellness properties it provides, makes it a wonderful space to escape and rejuvenate. The reality of a reality show and competition, is that the time restrictions of each section of the apartment is exceptionally challenging. 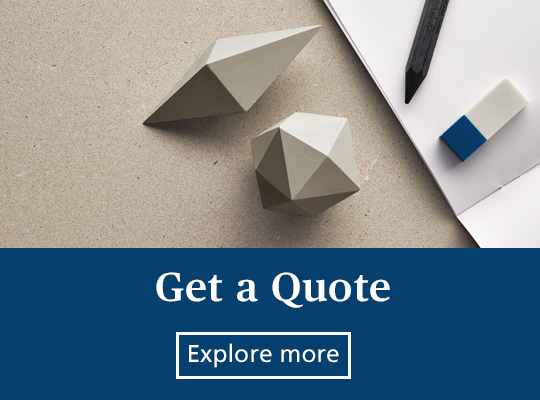 So if we could change anything of the finished product today, we would go back and upgrade the finishings – we always strive for exceptional high standards and quality, which we had to sacrifice at times! 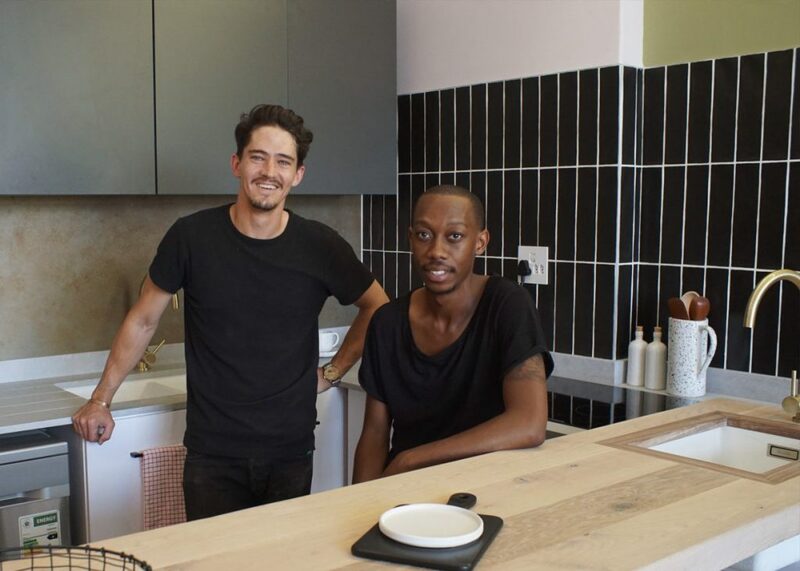 We will always advise people who are renovating or revamping to keep it simple. Start where you are, use what you have and do what you can. Less is definitely more. And if possible, use a professional. Being apart of Win a Home had many highs and lows. The most exciting part was being able to make use of a budget more freely, as jobs are usually much more driven by the client’s decision. On the flip side it was challenging to have to reign in our ideas! As a result, as designers we have learned what we are capable of and that one or two design ideas executed well is definitely more effective that every single good idea thrown together in one space. Want to learn more about the Perma Peeps? 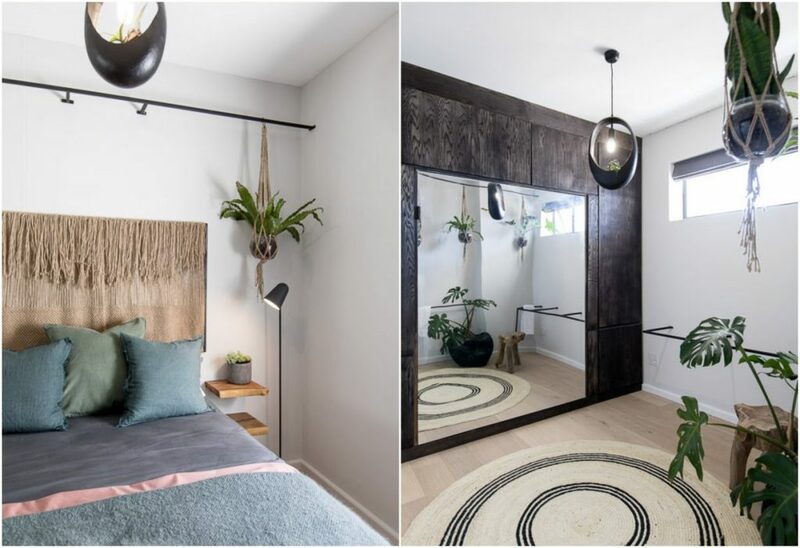 They are on a design path that is heading in whichever direction the universe takes them – but it is sure to be worth taking note of. Get in touch with them by clicking here!